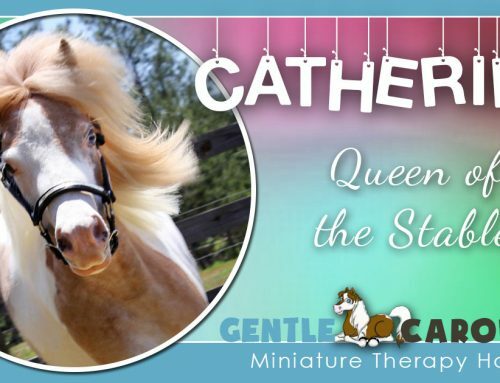 Horse Quiz: Which Mini Are You? Rainbow works with children in hospital care and with children who have special needs. 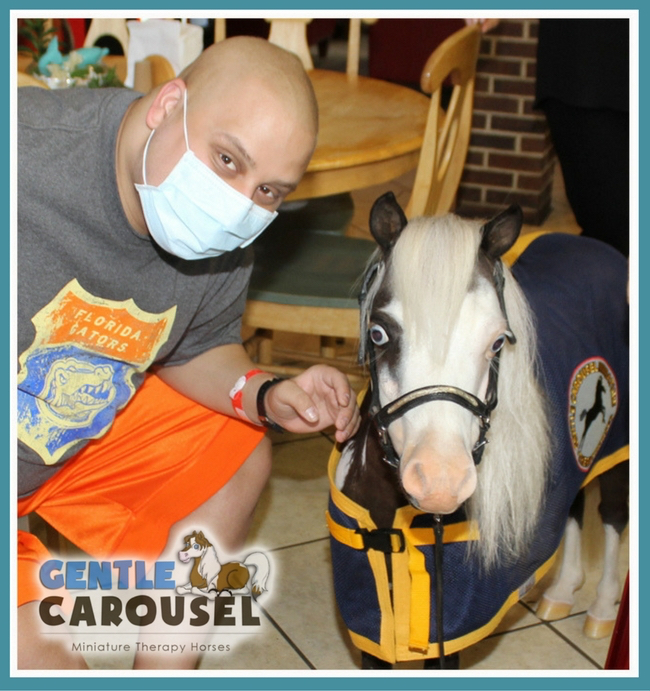 He has made many library and school visits with Gentle Carousel’s Reading is Magic literacy program and even made a Ronald McDonald House and an assisted living program visit with canine movie superstar Benji. 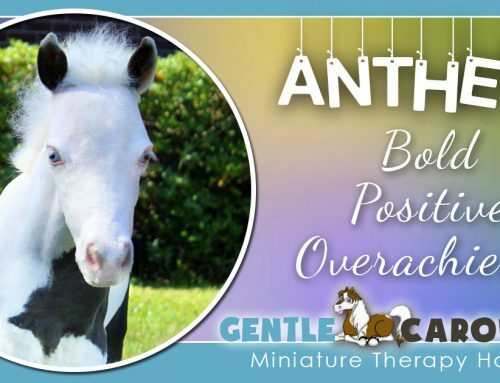 Appearance: Rainbow is one of our smallest therapy horses but don’t tell him. Special Skills: Rainbow can make the smallest jump look like he is competing in a Grand Prix Competition. For such a little guy he is quite fast! Favorite Thing: Rainbow likes treats… tiny bites of alfalfa. 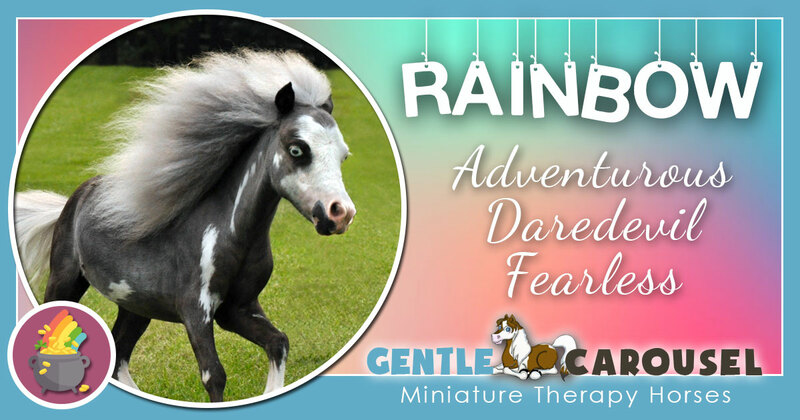 Personality: Rainbow is determined, fearless and unaware of his height. 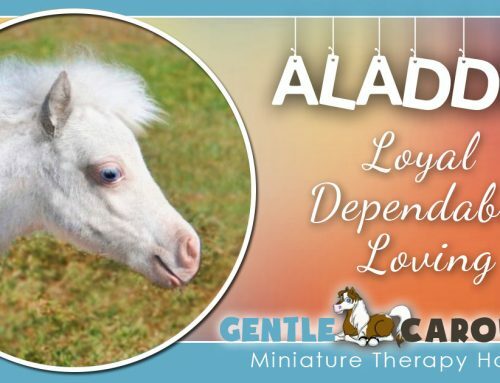 He is also trustworthy and kind with the most fragile of patients. 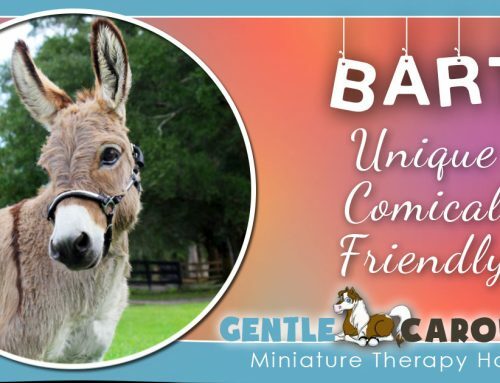 Best Equine Friend: Rainbow likes spending time with Bart the miniature donkey. What A School Yearbook Would Say: Most Likely To Get ID’d When He Is 30. You met Benji! Another of my animal kingdom favorites! What oy you have brought others, little – oops – “Big” Rainbow! Support the Horses! Shop NOW! 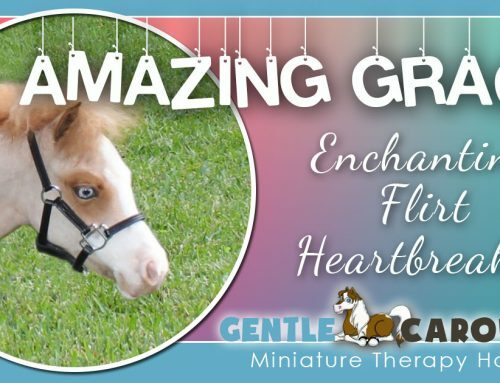 The therapy horses are supported by people just like you who want to help make dreams come true.